At least 15 civilians including three children and a woman have been killed in a Syrian village near the city of Raqqa, in an alleged air strike by the US-led coalition, Syrian state news agency SANA reports. 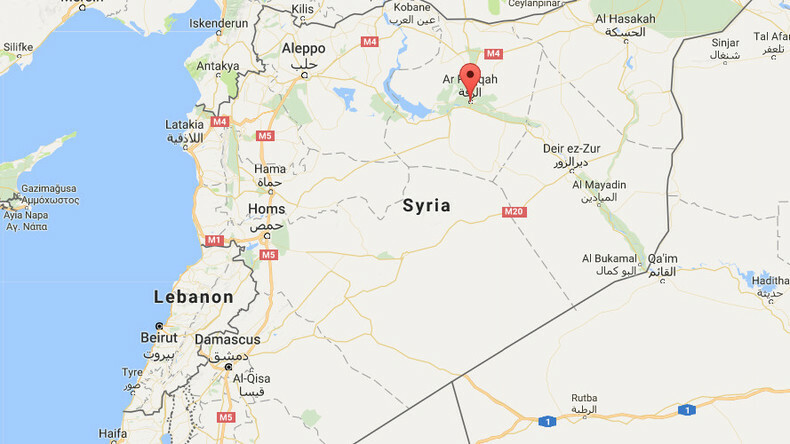 The strike targeted the village of Huneida to the west of Raqqa, SANA reports, citing its local sources. The alleged air strike was also reported by Syrian Tishreen newspaper, citing its sources, who said that at least 10 were killed. مصادر أهلية :طيران #التحالف_الدولي بقيادة #الولايات_المتحدة يرتكب مجزرة في #قرية_هنيدة بريف #الرقة الغربي راح ضحيتها 10 مدنيين على الأقل. Washington and its allies have been carrying out air strikes near Raqqa to provide support for the Kurdish-led Syrian Democratic Forces fighting Islamic State (IS, formerly ISIS/ISIL). In late March, there were reports coming both from coalition members and Syrian forces fighting on the ground that an offensive to liberate the city of Raqqa, dubbed the IS capital in Syria, could soon be launched. The Russian Defense Ministry, however, warned that liberating the jihadists’ stronghold would “not be easy” for the international coalition, adding that the success of the operation depended on more coordinated actions with all forces fighting against the terrorists in Syria. According to local journalist Mohamed Ali, civilians are paying the price for the US’ unilateral behavior. According to Jamal Wakeem, professor of history and international relations at Lebanese University in Beirut, the American’s unilateral bombing campaign may be Washington’s way of sending a subtle message to their geopolitical rivals. “I believe that the West, the United States, mainly, is responsible for the civilian casualties, whether in Syria or in Iraq, because they are very keen on the use of force just to direct an indirect threat to what they consider as their real foes, mainly Russia, Iran and China,” Wakeem told RT. On Friday, Washington launched a unilateral “surprise” missile attack on a Syrian airbase in the Homs province. While supported by US allies, the move has been harshly criticized and condemned by others. The Syrian airbase targeted by US Tomahawks was reportedly actively involved in the counter-terrorism campaign, including in Raqqa and Palmyra.